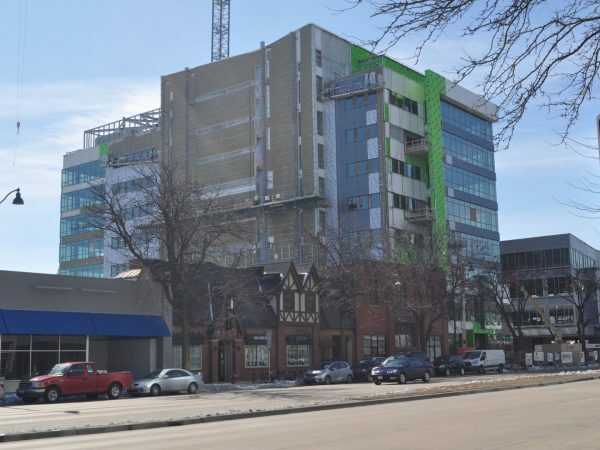 One of Madison’s leading companies, American Family Insurance, is making a signature statement through the construction of a new building called The Spark. The eight-story, 158,000 square-foot building is located in the 800 block of East Washington Avenue. The new building will house some of the company’s offices as well as the city-sponsored, StartingBlock. StartingBlock will be located on the second, third, and fourth floors and will be an entrepreneurial center for start-up companies and established entrepreneurs to share knowledge, skills, and professional assistance. The Spark also represents an opportunity for American Family to cost-effectively create workspace for future growth. The building will have a modern, environmentally-sustainable design and feature collaborative indoor and outdoor spaces. The Spark’s design creates an architectural statement while being inclusive of the fabric of the neighborhood. The continued movement of the construction industry to become more environmentally sustainable is shown in The Spark which will use only 50 percent of the energy of a typical Midwest office building. In order to meet this high standard, Hooper and General Heating and Air Conditioning (GHAC) worked with general contractor, J.H. 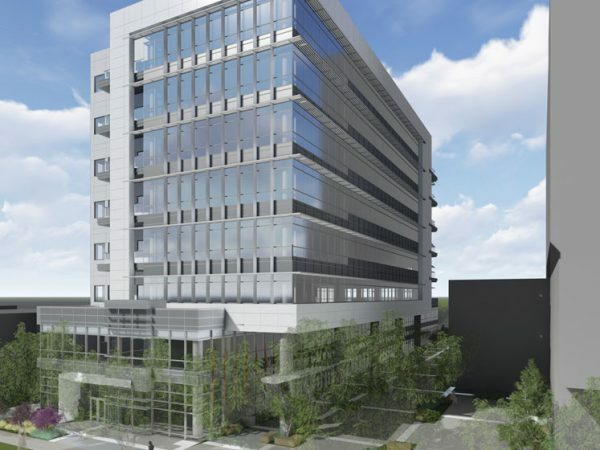 Findorff & Son, and American Family Insurance for over a year in the design phase before the project broke ground to ensure that all needs were met. Hooper plumbing crews installed the total plumbing systems including domestic water system, sanitary waste and venting system, storm water system, and rain water reuse system. The building will have a LEED (Leadership in Energy and Environmental Design) 4.0 designation. This is the most recent version of LEED green building rating given by the U.S. Green Building Council. This is also the first WELL certified building in Madison. WELL Building Standard covers seven core concepts of health to optimize buildings to advance human health and well-being. The building also has a geo-exchange bore field, heat recovery air handling units, and cold plasma ionization which improves air quality by controlling odors and allergens, killing pathogens, and reducing particles. Several steps were taken to make sure the building used significantly less energy. One way is through the rain water reuse system. 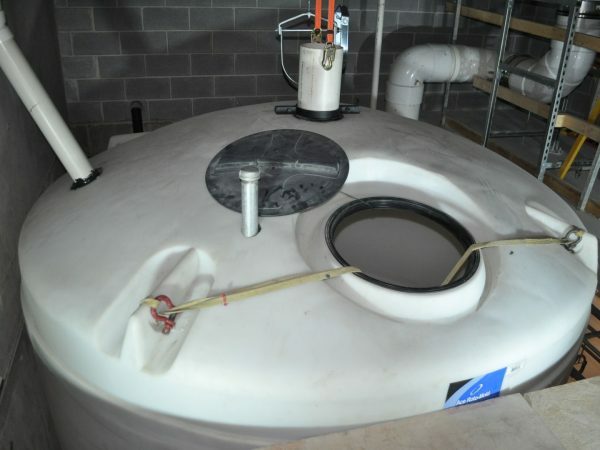 The 10,000 gallon rain water reuse system will use water from storms to feed the make-up water for the HVAC equipment. The rain reuse system is above ground and inside the building which posed a challenge. Hooper worked closely with Findorff, to ensure that the tank could fit in the building and be installed before the building was closed in. 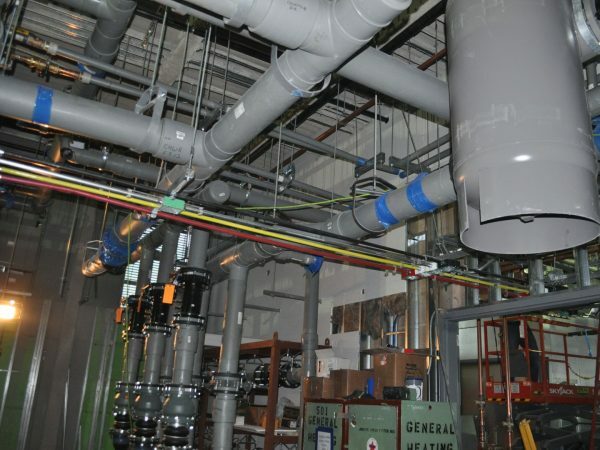 All large diameter water piping was a polypropylene (PPR) piping fused system with electrofusion couplings to decrease the carbon footprint of the building. In fact, the extent to which PPR piping and electrofusion couplings were used has not been done in Madison before. This required a major investment in tools and education for our crews. Extensive use of shop fabrication including pump assemblies, valve assemblies, and pipe fabrication helped expedite on-site construction.